When you learn you have celiac disease, you might initially focus on the things you lose, like the ability to eat gluten or eat whatever or wherever you wanted. However, as I discussed with tons of other gluten free teens back during the first annual Gluten Free Teen Summit (click here if you have no idea what Summit I'm talking about! ), there are some surprising "perks" about having celiac disease. 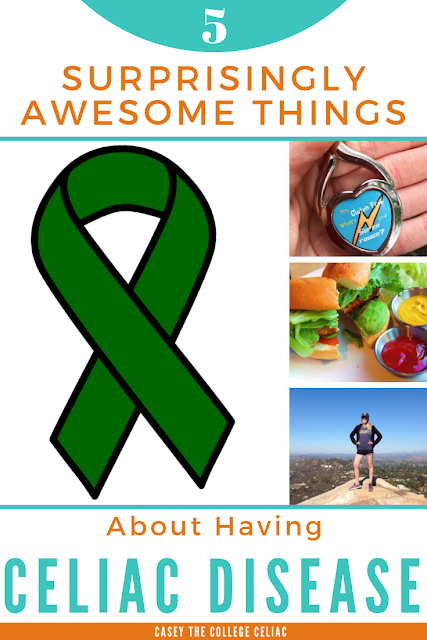 So in honor of National Celiac Awareness Day on September 13, today I’m rounding up five surprisingly awesome things about having celiac disease, from being the first one to eat at the buffet to finally feeling like the healthy badass you really are! 1. You are more motivated to try new (gluten free) foods. One of the best questions asked during the Gluten Free Teen Summit’s Teen Panel was our favorite gluten free food/product. It was hilarious to hear everyone in the audience moan when they heard one of their favorite foods or gasp at the fact that a delicious gluten free pizza actually existed. Finding tasty gluten free products can be challenging, and it requires a lot of trial and error (even if you do your research and go with gluten free foods that a lot of celiacs give a big thumbs up). On the plus side, though, this search for the gluten free “holy grail” or whatever food you’re missing (whether it’s pizza, cookies, sandwich bread, etc) often pushes us out of our comfort zones and motivates us to try new foods! Personally, I was a suuuuuper bland eater pre-celiac. I’d never even tried sweet potatoes, avocado, sushi, dragonfruit, olives and countless other foods I now love. Once gluten was taken out of my edible equation, though, I felt extra determined to try as many gluten free foods as possible and expand my dietary boundaries. And let me tell ya...while I still certainly miss plenty of gluten-filled foods, my gluten free life is pretty dang delicious now and my diet is even more diverse than it used to be. 2. You're a VIP when eating out. One of the surprising benefits of celiac disease that one of the Gluten Free Teen Summit attendees mentioned was getting first dibs on the buffet. I actually haven’t eaten at a buffet since my celiac disease diagnosis, which is why I’ve never seen this “awesome” side effect of celiac disease first-hand. I do know, though, that when I’m at a potluck with friends or family, I often go first to make sure there’s no accidental cross-contamination from people serving themselves and switching utensils, etc. On a related note, several of the gluten free teens also pointed out that they get special attention from chefs when they eat at buffets. Although eating out gluten free can be scary, it is true that celiac disease often makes us VIP diners (especially if you’re at a very food allergy aware location like Disney World). So if you ever feel self-conscious or uncomfortable because of your “special diet,” flip those feelings on their head and say, “Heck yeah, I am special, for better or for worse!” And when you find a restaurant or a chef that makes eating gluten free "easy" and delicious, give your thanks and spread the word! 3. You may grow closer to your family and true friends. Unfortunately, not everyone will “get” your celiac. Many attendees of the summit also mentioned being bullied at school because of their dietary restrictions. However, the people who really care about you will do their best to help you adapt to and thrive on a gluten free diet. And those close relationships and solid sources of support are priceless. 4. Sometimes, your food is better than the gluten-filled alternative! One of the common stereotypes about the gluten free diet is that all gluten free food is “gross,” “bland” or less tasty than gluten-filled alternatives. But that is one heck of a big lie! The truth is, there is good gluten free food and there is bad gluten free food, just like there are tasty and gross gluten-filled foods. Some of the funniest moments of life with celiac disease, though, are seeing peoples’ faces when your gluten free food actually smells (and tastes) a lot better than the “normal” food being offered. I’ve never had quite an epic gluten vs. gluten free food battle before, but I have had people drooling over the gluten free pizza I packed for myself when I attended Papa John’s pizza parties at club meetings in college. Sometimes, the celiac eater really does get the best end of the edible bargain! 5. You can actually feel AWESOME! One of the most awesome things about celiac disease? Changing your diet can actually help you feel better and stop struggling with celiac symptoms! Of course, I’m not minimizing how hard going gluten free can be. Plus, it's important to recognize that, for some people like me, going gluten free wasn’t enough to start healing after a celiac diagnosis. However, compared to other diseases with no cures at all or expensive or painful treatments, it is empowering in a way to be able to largely influence your health with celiac disease by what you eat. One day, a gluten free diet may not be the only treatment for celiac disease. At the GF Teen Summit, I was excited to hear that progress is being made on medications that, along with a gluten free diet, could improve celiacs’ overall gut and intestinal health. But until then, try to focus less on what you "lose" with a gluten free diet and more about the health, vitality and happiness you can gain! After all, nothing is more awesome than waking up a few months (or even a few years, depending on your pre-diagnosis intestinal damage) after being diagnosed with celiac disease and going gluten free, and realizing that you actually feel better than you have in ages. If you have celiac disease or know someone who does, you certainly know that celiac disease is NOT all unicorns and rainbows and gluten free cake. Celiac disease changes far more than just your diet, and it comes with its own fair share of challenges. However, I truly believe that focusing on any positives you can find in your chronic illness plays an important role in feeling good with a medical diagnosis. You shouldn't forget how flippin' AWESOME you are ether, with or without your chronic illness! And if you have celiac disease and were feeling alone or recently got a celiac diagnosis and are terrified of how your life will change, I hope this post made you smile, made you laugh or just made you realize that celiac disease is definitely NOT the end of the world. It’s just the start of a new and often equally delicious and awesome life. Like this post? 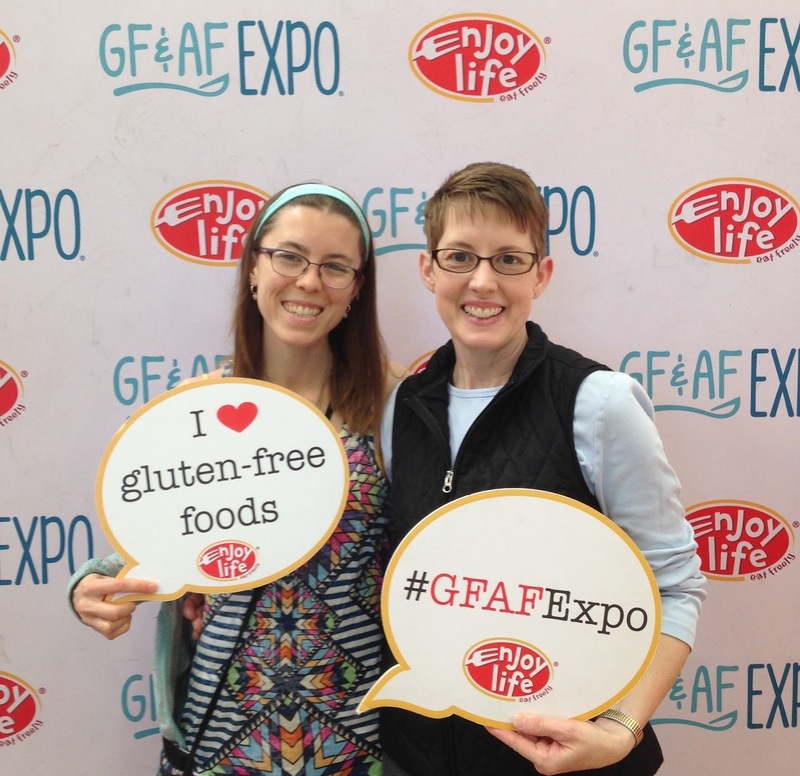 Tweet me some love by clicking here: "In honor of National #CeliacDiseaseAwareness Day, I'm sharing 5 surprisingly awesome things about having #celiacdisease and eating #glutenfree. 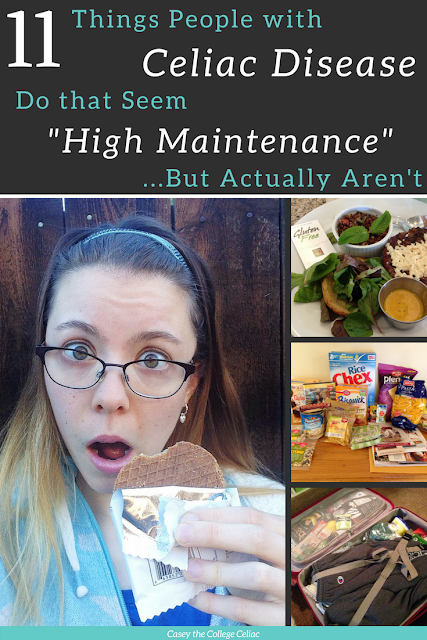 Need help seeing the bright side of #celiac or the #glutenfreediet? 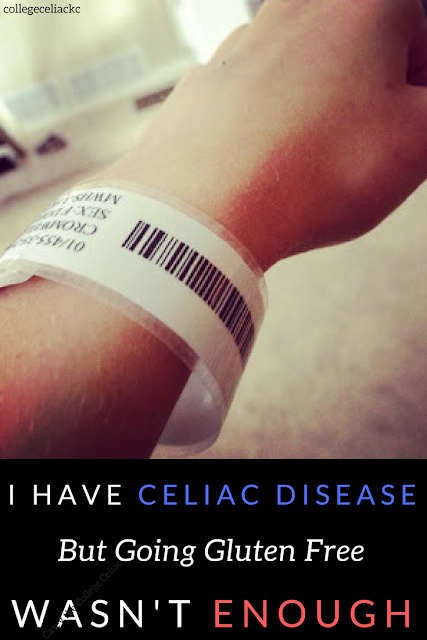 Read my whole post here --> http://bit.ly/2CzuKof"
What's one thing that has changed for the better since your celiac disease diagnosis? I'd love to hear!